NES Classic Edition vs. SNES Classic Edition: Which should you buy? We're a virtual company made up of tech experts from across the globe. A lot of us just live for video games, so we got our hands on both of the mini classic consoles Nintendo has released so far, and we're going to tell you which one tops the other. While the SNES Classic Edition is more expensive than the NES Classic and comes with fewer games, it contains more high-quality titles, such as Earthbound, The Legend of Zelda: A Link to the Past, and more. It also includes two controllers straight from the box, so you can grab a friend and play right away without having to buy extra accessories. Comes with 21 games, including the never-before-released Star Fox 2. Supports multiplayer and comes with two controllers. More expensive than NES Classic Edition. 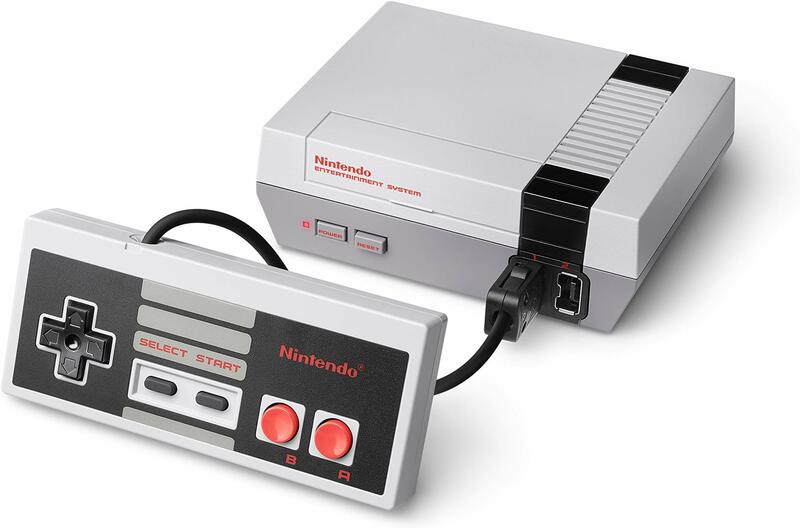 The NES Classic Edition is the first miniaturized version of a classic console from Nintendo. It brings back some great classic games that we grew up with, such as Super Mario Bros., The Legend of Zelda, Castlevania, and many more. Only comes with one controller. For most gamers, the SNES Classic is the better option since more of these classic games are considered "must-play" titles. But if you grew up with the NES, then it's hard to say no to a cute, mini version that comes with a ton of games to enjoy. If you want value, the NES Classic is pretty affordable and gives you a lot of games for your buck (about $2 a game). However, while these games provide entertainment, they aren't considered "the best" of the era. You can view the full list of games on Nintendo's website, but some of the highlights include Super Mario Bros. 3, The Legend of Zelda, and Pac-Man. If you grew up with the NES, then you'll have fond memories of it regardless, and it's nice to go back to relive and play those childhood games. Nostalgia is a powerful factor, and definitely one of the reasons I personally picked up one. On the other hand, while the SNES Classic is about $20 more expensive than the NES Classic, it provides two controllers, making it more of a value already. Both consoles support multiplayer, but only the SNES Classic truly allows you to play locally with a friend straight out of the box. You need to go out and buy a second controller to play with others on the NES Classic since it only gives you one. Another place where the SNES Classic shines is in its game selection. Though it only has 21 games (nine less than NES Classic), many more of these are considered to be some of the greatest games of all time — including Earthbound, The Legend of Zelda: A Link to the Past, Super Metroid, and so many more — giving new gamers a chance to play pieces of history. It even comes with Star Fox 2, a game that was never released prior to the SNES Classic. 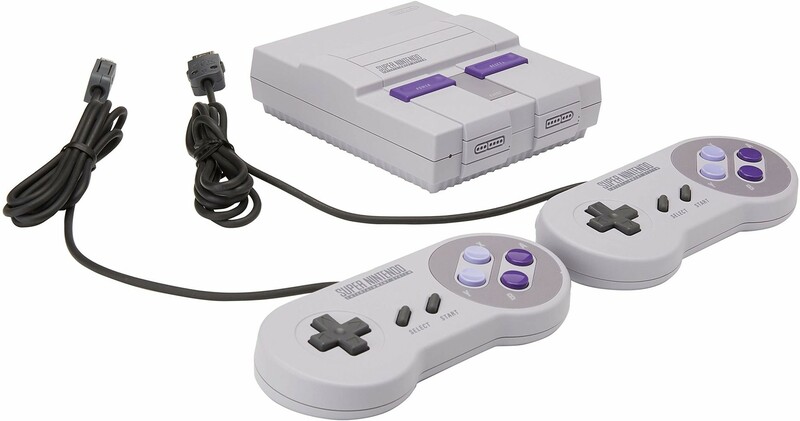 Plus, the Rewind feature on the SNES Classic gives it a one-up over its predecessor, allowing players to rewind a full minute or more from a game's last suspend point. If you've never played some of the greatest classic games of all time, or want to play them again, then pick up an SNES Classic. It has some of the best games ever made and includes the never-before-released Star Fox 2. Plus you get two controllers without any extra hassle. If you miss the original classics and have $60 to spare, pick this one up to enjoy 30 retro games and relive your childhood memories. Just know that you'll need to buy a second controller for multiplayer games.